Caroline is retiring from Vocals and we are now commencing our search for a replacement Vocalist. We have two more albums planned and this is the perfect time to introduce a new vocalist into the songwriting process. Maybe someone you know would be a good fit.. Someone creative/imaginative that will help add dynamics/light and shade and contribute ideas to our original songs. 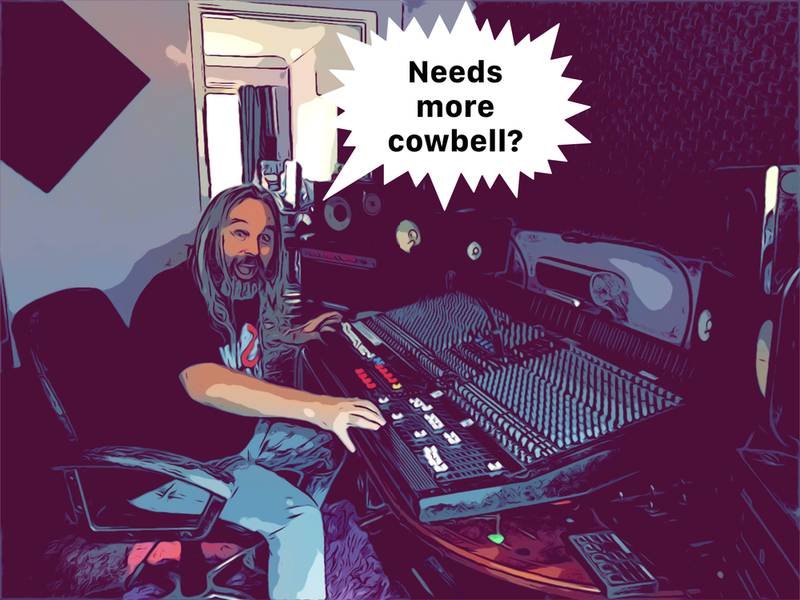 So, if you have a good ear for melody, enjoy the idea of recording regularly (here at our own studio) and would be content with only infrequent/occasional gigs/showcases then give us a yell. Good vocal pitch is essential, as we don't use Autotune. Please note: You will need to contact us via our Youtube/Facebook/THUDMail channels as we are not registered for mail here. MR THUD are a 4 piece riff oriented rock band. With some Celtic, Punk and 80's Metal/Hard rock influences certainly resonating at our foundations. Our songs value melody above technical complexity, but of course its nice when a song presents the opportunity for both. (What I'm saying is that we try stay true to the song and only add parts that suit the context). Our primary focus has moved away from covers and to our original material, which we write, produce and record ourselves at our own, largely analog based, Recording Studio in Rifle Range, QLD. (Near Fernvale/Lowood -- 52min from Brisbane CBD, 45min from Toowoomba, and within an experienced stone throwers reach of Ipswich). The studio is an independent and acoustically treated building, with a 12m x 7m live room and an isolated upstairs control room. The building was purpose built for MR THUD recordings. We are all mature musicians who enjoy playing to an advanced level, were happy recording and playing together at our studio these days, that seems almost enough reward for us. Due to the huge backline we prefer to play with, the prospect of regular gigs has currently lost its appeal... at least for now (that would probably change instantly if we had a road crew of heavy lifters!). But, that said, we intend to still do a modest amount of live showcases following each new release. In previous bands we may have been, for example, 95% about gigging and 5% focused on writing and recording. Now that has reversed for us. We play with real acoustic drums and valve amplifiers, so are reasonably loud. We strive to be precise in our playing, but not overly serious these days. We like to have fun, but won't hesitate to push ourselves time and again for a better recording take. ..we're never in a rush. Debut EP: 'Into the Fray' recorded at BlackBox Studio in Brisbane and released in 2012. First Album: 'Fallout' recorded at MR THUD Studio in Rifle Range and released Dec 2016. Second Album: "Tactical Manoeuvres', is almost fully tracked, with bi-weekly recording sessions. (Realistic release date is likely to be during Q2 2019, after mastering etc). Visit www.mrthud.com for purchase details of released material and merchandise. There is a long list of bands we like.. Accept, Evanescence, Alestorm, HaleStorm, Savatage, Foo Fighters, Little Angels, Queen, Dio, Me first and the gimme gimmies, Offspring, Boston, Ghost of an American Airman, Trucker Diablo, Muse, Bon Jovi, Linkin Park, Toby Jepsons Wayward Sons, Helloween, Ozzy, Die Antwoord, Thin Lizzy, Stratavarious, Van Halen, Faith no more, Iron Maiden, Scorpions, Judas Priest, NIN, Sevendust, MyChemicalRomance, Gary Moore (not the blues era), Nightwish, Tesla, Journey, Rammstein, Rush, Police, Drop Kick Murphy's, Baby Metal, Green Day, Band Maid..
5th Member (You!?) - Vocals, Plus..
Two Marshall DBS 400watt Bass amp heads. Eight piece Pearl Double Bass kit (the studio 'black pearl'). Six Fold back Monitors powered by a 4 channel FP 10000 Q (up to 10,000 watts, but we run it at idle). Two FP 10000Q Power amps delivering a combined up to 20,000 Watts (Not driven beyond idle..). *We typically run the overall PA at about 4,000 -5,000 watts total. We have our own DMX Lights etc etc..
We also have our own recording studio. A purpose built building, 12m x 9m with upstairs control room. From the MR THUD debut EP (Aug 2012).